Euro 2012 divegrass (sorry football), Olympics, catching up on your tv or simply looking to watch live TV on your iOS device? Here’s an roundup of those apps which let you watch or simply catch up on your programming. Given the scrutiny the UK corporate is under it’s evolved nicely into a flagship TV catchup and live streaming service. Originally aimed as a catchup service you can also watch most of the corporations offerings along with tuning into to their many radio stations. The interface is distinctly metro in feel and worth noting as it’s followed this design before Windows Phones were a glimmer in the Microsoft eye. The guide is limited to BBC tv and radio stations unlike some of the other offerings out there. Everything feels logically placed with minimal thinking about how to get to your program of choice. My only gripe would be the “play symbol” which after a bit of prodding about is a funky iPlayer take on the classic arrow. It did take a while to realise the play / info icon wasn’t just informational but was the play button. As with all the other offerings there’s no reminder option, no ability to download and a great deal of content is unavailable to stream live. You are guaranteed wall to wall coverage of the olympics and yes, you can watch Top Gear when it’s airing. Released earlier in the year it’s taken itv a long time to get live tv streaming in their own dedicated app. The rugby world cup had it own dedicated app so you can’t help but think this might be purely to keeps the apple iTV at bay by offering a streaming service. Even though a program will shows up available for live streaming it might not actually be available for streaming. Of course you don’t discover this till you’ve be forced to watch adverts pre-roll. trikes me as being a touch sneaky making you watch adverts only to get an error message. Adverts are pre rolled ranging from 10 – 15 seconds so its not that much of an intrusion if you are a channel flicker. As usual any ad’s aired during the program are also shown. Quality is great but sadly airplay is lacking and so is a traditional guide. Youl only see what’s on by hitting the live tab rather than the tried and tested guide which we are all used to. Still it’s going to be handy to watch the Euro 2012 dive grass, sorry football (not soccer) championship. Sky now might just be around the corner but till then Sky Go provides anyone with or without a satellite subscription to vide their content. If you already have sky programming is free. Those of us not signed up are faced with a monthly subscription package price starting at £15. That error message speaks volumes (xcon solves that btw). So much for testing on the iPad but when streaming on the iPhone things worked as you expected. Guide is for the sky channels only showing you what you could watch if only your ponied up some more cash to $ky. Airport streaming is disabled for video but strangely audio to my airport express worked. The most basic offering nets you 5 live channels (sky 1, atlantic, living, news, arts) on your iOS device but more if you stream from the desktop environment. Packages creep up to to £40 for all movies and sports offerings. I All Sky Go’s offerings are available if you already have Sky at home in line with your viewing package. Confusion is also abound with not all channels are available on your iphone / iPad as some are desktop only. If Sky go found a way to get onto the Apple TV that would be me subscribed. Apple TV. So close yet so far from being the ultimate media centre. Out of all the apps tested this one is the hands down winner, showing everyone what a streaming service should be like. Simple guide showing all channels if only now and next, full array of free view channels, minimal advert interruption. Only missing would be a way to set timers or alerts. Even pre roll adverts are kept simple and minimal which are easily removed by clicking on the X. I’d go so far to say that I’ve been more aware of the AdMob style adverts than traditional TV style promotion. Sitting between live casting of a social nature, dont think of Twitch.TV / Justin.TV so much for regular programming but if you delve into the entertainment section you can find season’s of shows being cast for your viewing pleasure. It’s how I came across the fantastic “Eastbound and Down.” There’s no program guide or schedule to when channels will become live but you can follow your preferred casters. Both apps are exceptionally twitchy (pardon the pun) with bugs rearing up more often than can make for a comfortable viewing experience at times. There is no guide as such more broken down by genre leaving you to your own devices to find streams to watch. Airplay streaming is supported and when you find some good broadcasters theres more of the interactiveness than other apps. 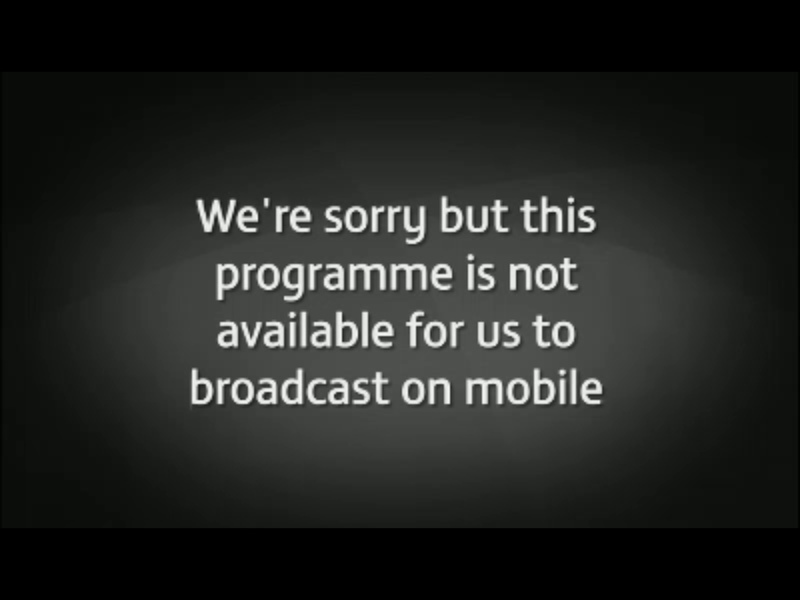 The clue is in the name that there’s no live tv with this app instead channel 4s fine array of unique programming. Like most other services you won’t find all american proramming available for catchup (Cleveland show) yet Homeland, Desperate housewives, 90210 amongst others is available. Although not live you’ll find program’s just aired normally available after a few hours. Again the guide is limited to their own stations with not overwhelming cross promotion. It feels more like an invitation to watch new or classic content from the station. 4od Adopts a more programme based selection rather than channel based and works only in landscape mode. Again it’s a shame there’s no airplay implementation. The five network in the uk consists of five, five star, five USA and a plus one channel so it’s odd to see the app only covers the free to air channel, Five. Channel 5’s core content line up is available here but those shows of the american syndication type won’t be available. Adverts, adverts and more adverts. Thankfully the app only covers shows that are available to view so not putting up a “this program is not available in your area” message. To give you an idea of the level of these adverts. First they pre roll before your program up to 78 seconds. If your iPad closes down because you’ve paused the program and you come back to the app at the same point you left, you;” be greeted with another 78 seconds. One can only stomach a wookee, pc world advert so many times. On the THIRD ad slot you’re greeted with 120 seconds of adverts. There could only really be one winner. It might support basic adverts for iOS devices but done in a way you notice them but not overly intrusive. TVCatchup wins hands down for watching live tv on your iPad / iPhone. Don;t rule out the other apps as they do offer a way to discover new content on those stations. Remember that if using 3g to stream, keep an eye on your data allowances.